Pham Nhat Vu, former chairman of Audio Visual Global (AVG), is seen in this photo provided by the Ministry of Public Security. Vietnam’s police on Saturday arrested and launched legal proceedings against Pham Nhat Vu, former chairman of Audio Visual Global (AVG), on charges of bribery, the latest development in an investigation into the company’s notorious acquisition deal with a leading mobile network operator four years ago. The procedural decisions for Vu was approved by the Supreme People's Procuracy in accordance with the provisions of law, according to a source close to Tuoi Tre (Youth) newspaper. Vu is being held in detention and probed for suspected bribery of officials regarding the VND8,889 billion (US$392 million) deal offered by state-owned mobile carrier Mobifone to acquire a 95 percent stake in AVG in 2015, while a search warrant of his residence was also issued. In February, Nguyen Bac Son, Minister of Information and Communication in the 2011-16 tenure, and his successor, Truong Minh Tuan, who led the ministry in the 2016-21 period, were also arrested and put under investigation in the same case. 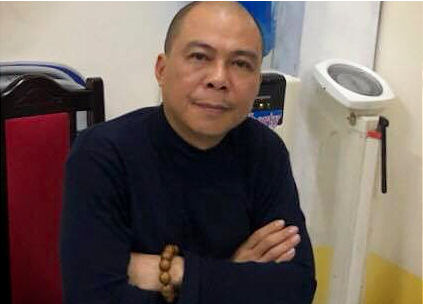 In July 2018, police began legal proceeding against and ordered the arrest of Le Nam Tra, former chairman of Mobifone’s Member Council, who is currently an official of the information ministry’s Office. In November the same year, Mobifone former general director Cao Duy Hai was arrested. Son, Tuan, Tra and Hai were all charged with breaching regulations on the management and use of public capital that lead to serious consequences. Police said on Saturday the two ex-ministers and Tra have been prosecuted with additional charges of bribery. Besides these procedural decisions, police also launched legal proceedings against Vo Van Manh, director of AMAX Co. and Hoang Duy Quang, a company employer, on the same charges. AMAX is the consulting unit that valued AVG at VND16.56 trillion ($729.52 million), the evaluation which Mobifone used to process its deal with AVG. Vietnam’s state inspectorate has said the AMAX evaluation had been calculated on inaccurate input information, given the fact that AVG was bogged down with debts valued at VND1.266 trillion (US$55.77 million) and accumulated losses of VND1.632 trillion ($71.89 million) at a time the deal was proposed. According to the Vietnamese government inspectorate, Mobifone was irresponsible and broke regulations in the AVG acquisition, especially in assessing the pay TV company's financial situation, leading to state budget losses of VND7 trillion ($308 million), and affecting Mobifone’s finance, resulting in difficulties for the company’s privatization process. AVG’s total assets were worth only VND206 billion ($9.07 million), while Mobifone’s offer was VND8.889 trillion (US$392 million). Mobifone was dishonest in reporting AVG’s financial situation to the information ministry during the acquisition, with the government inspectorate concluding that the assessment violated regulations for investment and managing and using state capital. The state inspectors stated that the responsibility for the wrongdoings went to the board of members, board of directors, the chief accountant and other departments of Mobifone. In the meantime, the Ministry of Information and Communications, as the representative of the state ownership and the state agency in charge of management of information and communication, showed a lack of responsibility in assessing the acquisition. Its approval of the acquisition had violated legal rules, causing serious losses of state capital and thus must be annulled, the state inspectorate said. In addition, while the acquisition was not eligible for being classified as a state secret, the ministry asked the Ministry of Public Security to include it in the list of classified information, which violated laws on issuing regulations on the publishing of information of State-owned one-member limited liability companies. Prior to the state inspectorate’s announcement, Mobifone and AVG decided to cancel the transfer of 344.66 million shares and refund each other the amount received under the agreement. AVG shareholders will refund the entire amount paid by Mobifone, while Mobifone will return to AVG the number of shares and assets transferred.